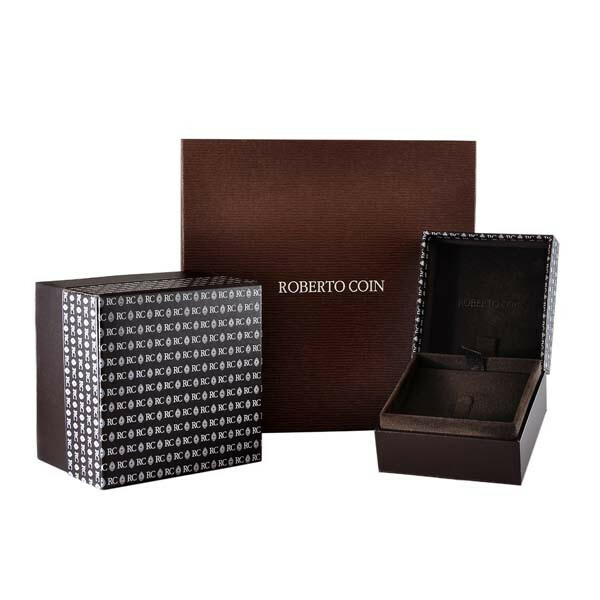 The Roberto Coin Tiny Treasures collection features stylish religious jewelry. 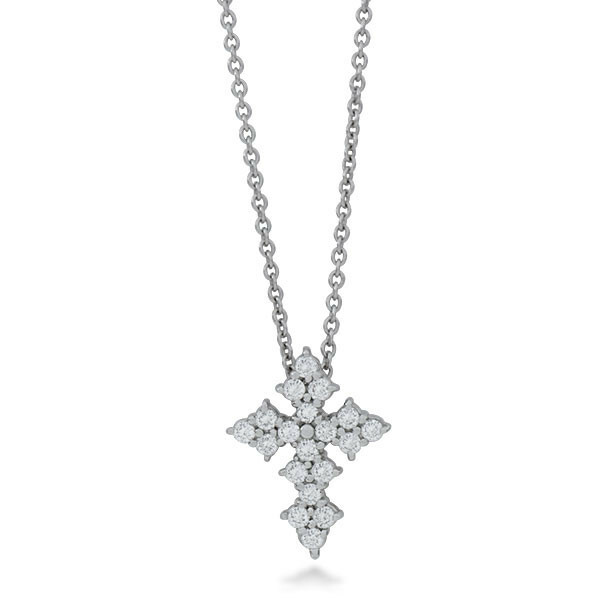 This reverent cross is crafted in 18kt white gold with white diamonds that give it a heavenly glow. The pendant dangles from an adjustable chain. This delicate Roberto Coin cross pendant is the perfect way to display your faith.